The international group exhibition "Model Natures" is dedicated to a fascinating area of ​​contemporary photography: Impressive landscapes are presented. 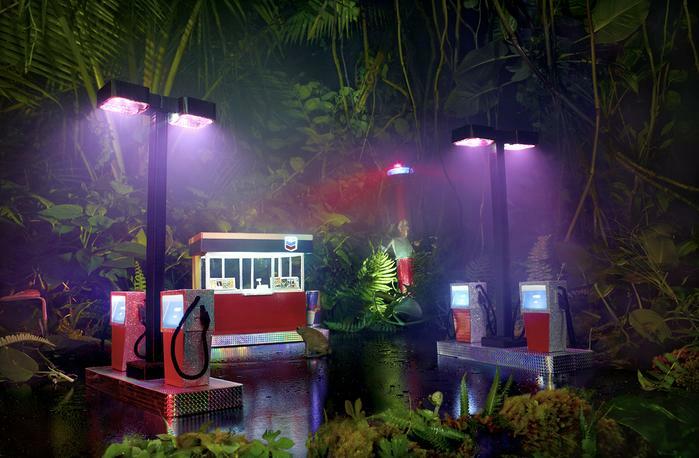 But on closer inspection, it turns out that these are not photographs of actual landscapes, but rather deceptively real illustrations of models that were hand-crafted by the respective artists. 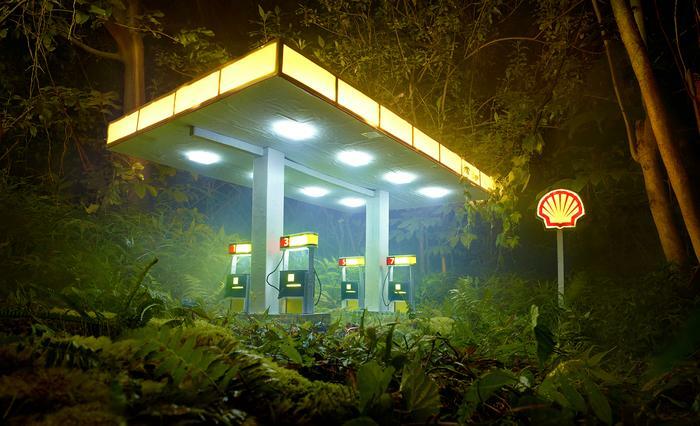 LaChapelle's 'Gas Chevron' (2012) and 'Gas Shell' (2012) will be showing. The fascination with artistic strategies of deception, such as the trompe l'oeil, the illusion painting or the model, has always been unbroken. In model form, the eye illusion was mainly in the dioramas of Louis Daguerre and Charles -Marie Bouton, later in the museum diorama entrance to the entertainment and educational institutions. From there, it was a fluent transition to photography, which has been attributed to a particularly large realism since its invention and which today is able to deceive the human eye thanks to a variety of digital manipulation possibilities. However, the artists in the exhibition "Model Nature in Contemporary Photography" largely refrain from digital post-processing of their photographs. The photography or the video serve them primarily as an aid to fix their usually laboriously built models in the image. In search of materials that seem as real as possible, the crafting skills are first challenged. Only in a second step, the models are then photographically photographed, whereby the peculiarities of the medium such as camera point of view, illumination, exposure time and focus are deliberately used so that the built nature in the image looks amazingly real. The traveling exhibition is curated by the Alfred Ehrhardt Foundation in Berlin and realized in collaboration with the Kallmann-Museum Ismaning, the Ludwig Galerie Saarlouis and the Stadtgalerie Kiel. The exhibition will be accompanied by a catalog in 'Michael Imhof Verlag'.